Scientific Nature of the Whammy: Book It! 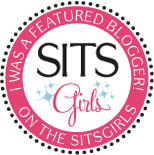 I can't believe it's already Day 8 of the SITS/BlogFrog 31 Days to Build a Better Blog Challenge! I have been having an amazing time participating in this challenge so far, it's been so inspiring. I am falling in love with my blog all over again, and have found a few new blogs that I love. The task for Day 8 has to do with interlinking posts on your own blog, and the task for Day 7 was to write a link post. I'm combining the two a bit with today's post, which is all about books! If you've hung around my blog for any length of time, you know that I LOVE to read! I've always been a reader, since I was a little kid. My Mom still has "Santa Mouse" memorized because I made her read it so many times. When I was younger I was the kid with my nose in a book, and I'd read in the car and on the school bus. These days, I don't always have as much time to read as I'd like. Lately I've found a little more time because I can read while I'm holding Danny. All it takes is a few minutes to remember why I absolutely love getting caught up in a good book. I have a few different areas on my blog where I talk about reading. In 2008, I started keeping a list of books I read every year, and settled on a yearly goal of 52 books. It averages out to about a book a week, but there are some weeks I don't read much, and other weeks I can manage more than one! If you want to know what I've been reading lately, check out my list of books read in 2010. I also belong to 2 book clubs, and keep a reading lists of books we've read. One of my favorite parts of book club is reading books I never would have picked up on my own. On all of my lists of books, I show my recommendations in bold. I'd love any comments or questions about the books I've read, what you thought, or if you need a recommendation for a good book! My newest book related page at SNOTW is my Big List of Books to Read. I've been keeping a list in a notebook for the past 8 years, but I decided it was about time to share it with the world and make it digital. Some of the books on the list are ones I've wanted to read for a while, some are ones I've discovered in magazines or at bookstores. When I go to the bookstore, I often take photos of the covers of books I spot, then go through and note the titles when I get home. I haven't added all the books from my list, but about 1/2 of them are here online, and I'll probably get the other half added sometime this week. Every so often, I run across a blog about books to read, or with book reviews. I have enjoyed Pam's blog, Screaming Mimi, and she has her very own book blog called Read, Review, Repeat. I've picked up many book suggestions over there, and would definitely recommend it! She recently added a friend who will also be reviewing books, so it's going to be twice as fun! Another site I discovered through my twitter 31DBBB list is is Paper Dolls. This one is a blog written for kids, by kids. How cool is that? The authors are sisters who are 8 and 12 and review tween and teen books. I'm a big fan of Young Adult fiction, and I just think their blog is the cutest. Yet another 31DBBB discovery is An Unconventional Librarian. She looks at kids books from a multicultural perspective, and her blog is a lot of fun! One great aspect of the internet is being able to connect with your favorite authors. 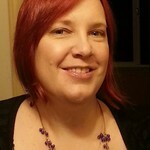 Two of my favorite author spaces online are Richelle Mead's blog Even Redheads Get the Blues and Orson Scott Card's online community Hatrack River. How cool is it to be able to connect and comment with the authors whose words you love?! Richelle is a local author, so it's nice to be able to see what she's up to. So many great resources for readers are also available online. I almost died when I discovered Paperbackswap.com. It's an awesome website where you can trade books with other readers. You just post the books you want to get rid of, and pay only for postage (media mail rate) to send them to other readers who want them. Every time you send one, you get a credit to request a book from someone else. It's an amazing way to expand your reading sphere. I also recently discovered Books Are Great Gifts, which is just a fun website with a bunch of resources for people who love to read and gift books. Are you a reader? What are your very favorite books? What kinds of online resources and refuges have you found that contribute to your love of reading? I am also a total reader. Sometimes I only fit in a few minutes before I go to sleep, but it doesn't matter. I just have to read. I am also always jotting down book titles that people recommend, from magazines, and now from bloggers. I love that you put your lists all together! That will be a goal for me. Thanks for the great link ups and some great booky resources. I also love to read. My favorites are Dean Koontz, Sidney Shelton, and Mary Higgins-Clark! Stopping by from SITS 31DBBB! I adore reading and thankfully it is something I have passed down to my son. I remember I missed it so much after I had him, there just wasn't time to concentrate and read as much as I had before. Now that he is older, I can settle in and read and he understands. I LOVE this post. I love reading so much. It's much more difficult now to squeeze in the amount of reading time I'd like to have, but I try. Totally checking out your posted links and I might have to steal your book list idea. I kept one up a long time ago, but stopped for no good reason. I might love books more than anything (besides the four people who live in my house, of course). I read all the time, but I have no system. Every week, I just grab the books from the "New Releases" section of the library. Fifteen to twenty at a time. Which gets me through until the next week. OK, I knew there was a reason I liked you so much! I belong to 3 book clubs. :) Have you heard about www.goodreads.com? That is where I now track my to read and my read books. I love it! I also enjoyed reading your book club lists of the books you have read! I got some new ideas. I've never heard of goodreads.com, I'll have to check it out. I like the idea of a book exchange! What fun. Aw, I'll have to check out the Paper Dolls blog. Because really I'm 12 years old at heart.